The Team, comprising of Vipul Pandhi, VP North; Atul Chabra, Jt. Sec North and Amit Gupta, Committee member North presented the agenda to be pursued by EEMA in North for this year. EEMA North conducted its first member meeting for the year 2018. The meeting was attended by Event Agency owners, Artists and Vendor partners across North India. Key initiatives that can be growth driver for agencies across spectrum were identified and discussed at length during this meeting. Generating awareness about Health, Safety and Security in events. First founding EEMA President Michael Menezes along with Executive Vice President EEMA Sanjeev Pasricha encouraged the North Team initiative and shared the vision of expanding EEMA movement in 4 zones and take up regional issues/ concerns. KJS Gurna Treasurer EEMA Along with past VP’s of North Mr. Rajeev Jain and Mr.Vijay Arora gave in their words of appreciation for the North efforts. For the first time since inception, EEMA got representation from states like Jammu & Kashmir, Punjab, Uttarakhand and Uttar Pradesh. Ashwini Handa from Jammu; Rishabh Panchhi from Dehradun and Mujtaba Farooqi & Anubhav Gupta from Lucknow were assigned the task of driving the EEMA agenda in their respective states. 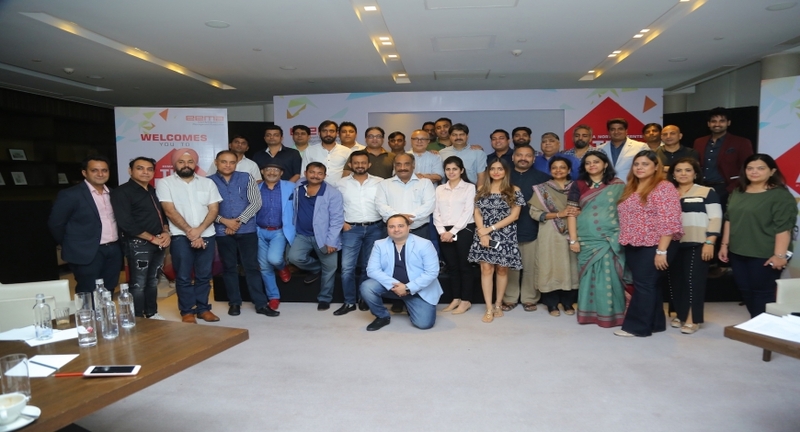 The artist fraternity was represented by MC Sonam Chabra and MC Manish Sharma;the vendor partners were represented by Suresh Madan of Dynamix Media, Bharat Bajaj from Sound Shaft and Robert Pillai. Dr.HeenaK. Bijli, Director School of Continuing Education IGNOU, HOD of events department was also present to get further insights into our industry. Her contribution of putting together a first of its kind event management course together was recognized and appreciated by all present. She also accepted request by EEMA to put together the curriculum for event management courses to be adopted by other educational institutes nationally. Himanshu Shah, General Secretary EEMA, also addressed the members through video conferencing from Ahmedabad. He spoke about the newmembership fees structure, benefits across all categories and initiatives planned by EEMA to increase membership base. The new policies have been drafted with the objective of encouragingmedium, small sized event agencies, supply chain & artists to enroll as EEMA members. The meeting concluded with members collectively agreeing to drive the industry to the next level while expressing their participation in various teams to be formed to drive the agenda forward.